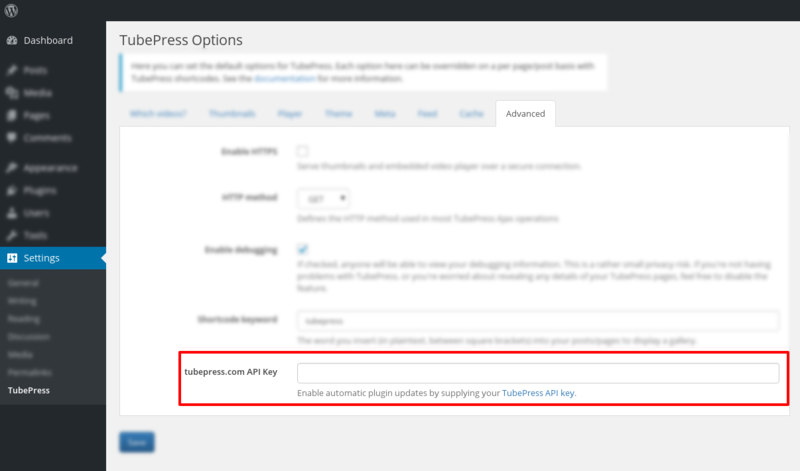 This page details how to enable automatic updates for TubePress when used in WordPress. Starting with version 4.2.0, TubePress can update itself via WordPress's plugin update mechanism. Prior to version 4.2.0, upgrading TubePress was a manual (and somewhat tedious) procedure. This page details the one-time setup procedure that must be completed in order to enable automated updates. If you are running TubePress 4.1.11 or lower, you must first manually update TubePress to 4.2.0 or higher before following these instructions. In order to prevent abuse of our license, we log all automatic updates that happen through this procedure. We will log your account identifier, the IP address of your WordPress installation, the file downloaded, and the time. If you do not consent to having this activity logged, please do not enable automatic updates. We may disable your account if we find violations of our Single Site License. We will contact you via email before any action is taken. Log in to the TubePress Dashboard. Under your "Profile" page, you will find your API key. Copy this key to your clipboard. Under your TubePress options page, head to the "Advanced" tab. 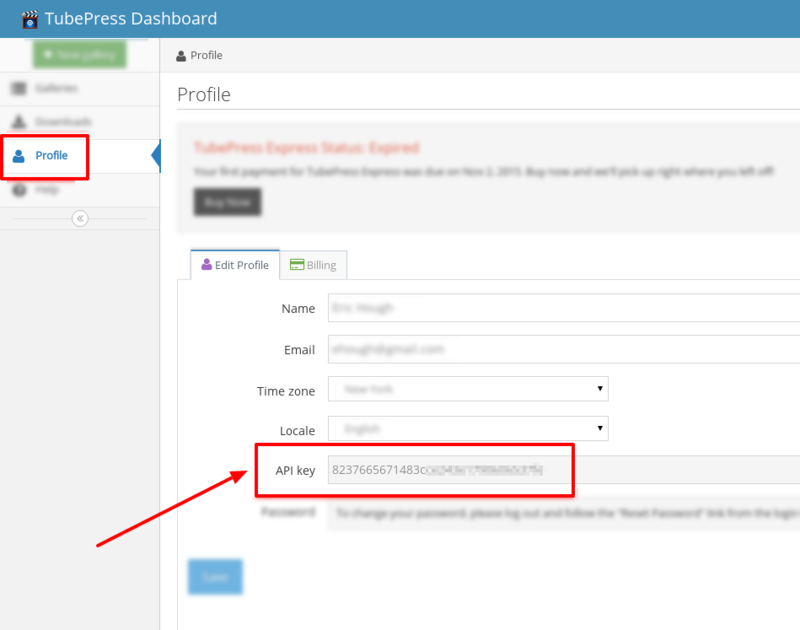 Paste your API key into the field for "tubepress.com API key"
Save your settings by clicking the blue "Save" button. TubePress can now update itself via WordPress, so you may manage updates as you do with any other WordPress plugin.